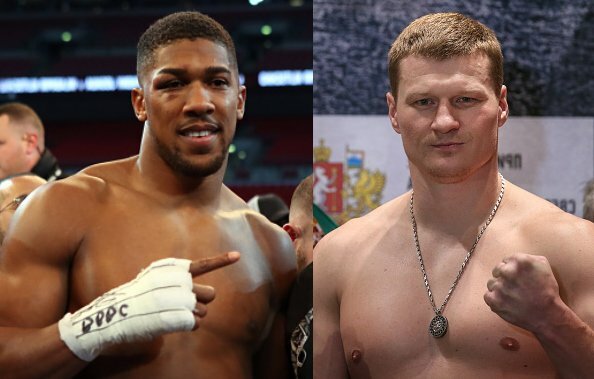 The countdown for Anthony Joshua’s world heavyweight title fight against Alexander Povetkin at Wembley is on. His WBA mandatory defence on Saturday, September 22 is 61 days away and Joshua is gearing up for the bout. The 28-year-old, who also holds the IBF, WBO and IBO titles, posted a picture of himself working out in the gym to Instagram late on Sunday night following his first week of training. Sporting an ‘AJBXNG’ t-shirt, Joshua gritted his teeth as held a weight plate during the camp. The caption read: ’10 years of dedication #AJBXNG’. Trainer Jamie Reynolds also uploaded a photo to the social media platform of himself with Joshua collapsed on the floor behind. The last time that Joshua was in action was in March, when he defeated Joseph Parker in Cardiff. Prior to that Joshua had defeated Carlos Takam and Wladimir Klitschko, with the huge fight against the Ukrainian taking place at Wembley. Sportsmail reported on Sunday that Joshua is holding the doors to Wembley Stadium ajar for Tyson Fury as his preferred fall-back opponent for a mega-fight next spring if a deal with WBC champion Deontay Wilder isn’t agreed.